By this time, you are already aware of General Data Protection Regulation, the latest European regulation that is related to data privacy and protection. It will come into effect from May 25th, 2018 and so its high time for Umbraco CMS website owners to upgrade their sites accordingly and offer complete protection and control of the data. We at IDS Logic will discuss the reasons behind this regulation and its impact on Umbraco. We will help our customers understand what has to be changed in their Umbraco site to accommodate this. First of all, it is very important to understand the type of data that you are handling. For this, here are some questions that you can ask yourself? What kind of data do your website store? How do you store the data? Who are the people who can access the data? For what time do you store the data? This is the data that is usually available on your site that is accessible to only specific people as per their needs. though it isn’t overly sensitive, it is important to protect this kind of data to your best abilities. Though you won’t be at a huge loss if the data is stolen, but addresses, phone numbers are always important when it comes to communicating with your customers. 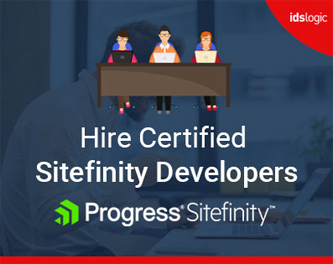 This information is available in the public areas of your site and can be accessed easily by various public sources like someone’s LinkedIn Profile. There is no change in leaking this data as it is available for every visitor and can easily be viewed through public sources. This includes those data that you have gathered from various channels and if fallen into the wrong hands can be manipulated and can cause great damage to both the customer and the business owner. This may include banking detail, health related data, union membership, biometrics and etc. For all the above categories, it is imperative to consider whether the data should be stored on your website, for how long and the measures that you need to take on any loss of data. 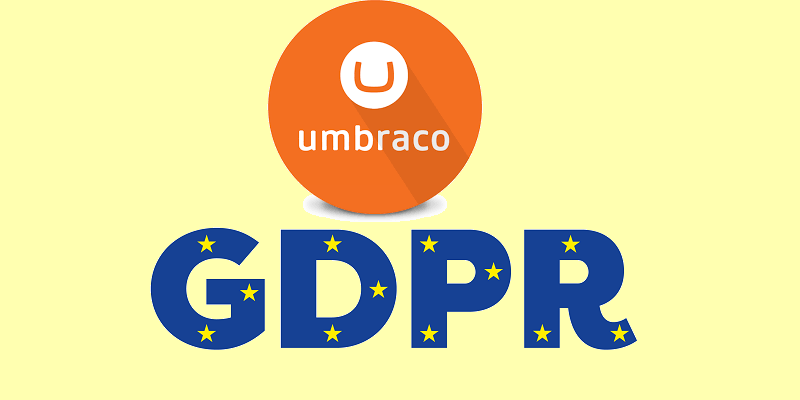 As a reputed Umbraco CMS development company, we suggest all our Umbraco clients to update their CMS to the latest version 7.9 so that the different Umbraco plugins will support the GDPR compliance and help you with your data management plans. Some GDPR friendly features released by Umbraco to track all the data processes and sensitive data. General API for logging: This offers a simple method to register that a person has given his or her consent for any given action. Detailed logging of user actions: GDPR needs to verify who has done what and this is now possible in 7.9. Ability to mark the members as sensitive: In case any data or value is marked as sensitive, then the data will not be displayed in the back office to any user unless they have access to read sensitive data. Ability to export a saved data file: In the action menu of each member, you can now easily export a file having all data stored for that specific member. Thanks for sharing the information about Umbraco GDPR now i am clear about GDPR.